The most surefire, easily-seen signature of life on Earth might be a cosmic red herring around other worlds. In our quest for life beyond the Solar System, it makes sense to look for a world like our own. We’ve long hoped to find an Earth-sized world around a Sun-like star at the right distance for liquid water as our first step, and with thousands of planets in our coffers already, we’re extremely close. But not every world with the right physical properties is going to have life; we need additional information to know whether a potentially habitable world is actually inhabited. The follow-up would be to analyze the planet’s atmosphere for Earth-like signatures: potential signs of life. Earth’s combination of atmospheric gases — nitrogen, oxygen, water vapor, carbon dioxide and more — has been assumed to be a dead giveaway for a planet with life on it. But a new study by planetary scientist Dr. Sarah Hörst’s team throws that into doubt [see paper below]. Even worlds rich in oxygen might not harbor aliens, but an impostor process that could fool us all. The scientific story of how to even reach that point is fascinating, and closer to becoming a reality than ever before. We can understand how this happens by imagining we were aliens, looking at our Sun from a large distance away, trying to determine if it possessed an inhabited world. By measuring the slight variations in the frequency of the Sun’s light over long periods of time, we’d be able to deduce the gravitational influence of the planets on them. This detection method is known either the radial velocity or the stellar wobble method, and can tell us information about a planet’s mass and orbital period. Most of the early (pre-Kepler) exoplanets were discovered with this technique, and it’s still the best method we have for both determining planetary masses and confirming the existence of candidate exoplanets. We also need to know the size of the planet. With the stellar wobble alone, we’ll only know what the mass of the world is relative to the angle-of-inclination of its orbit. A world that’s the mass of Earth could be well-suited to life if it’s got an Earth-like atmosphere, but it could be disastrous for life if it’s an iron-like world with no atmosphere at all, or a low-density, puffy world with a large gaseous envelope. The transit method, where a planet passes in front of its parent star, is our most prolific method for measuring a planet’s radius. By calculating how much of the parent star’s light it blocks when it crosses our line-of-sight, we can determine its size. For an alien civilization whose line-of-sight was properly aligned with Earth orbiting the Sun, we’d be able to detect it with technology only about 20% more sensitive than Kepler was. This is roughly where we are today. We’ve found hundreds of worlds that we suspect are rocky orbiting their stars, many of them right around Earth-sized. For a large fraction of them, we’ve measured their mass, radius, and orbital period, with a small percentage being at the right orbital distance to have Earth-like temperatures. Most of them orbit red dwarf stars — the most common class of star in the Universe — which means the forces should tidally lock them: the same side should always face the star. These stars flare often, posing a danger to any potential atmospheres on these worlds. But a significant fraction will orbit K, G, or F-class stars, where they can rotate on their axes, maintain an atmosphere, and have the potential for Earth-like life. That’s where we want to look. And that’s where future technology is hoping to take us. If a larger Kepler-like telescope were equipped with the right instruments, we could break up the light passing through an exoplanet’s atmosphere during a transit, and determine its atomic and molecular contents. If we were looking at Earth, we could determine that it was composed of nitrogen, oxygen, argon, water vapor, and carbon dioxide, along with other trace signatures. Even without an ideal alignment, direct imaging will still be possible. Potential NASA flagship missions, such as HabEx or LUVOIR (with either a starshade or a coronagraph), could block the light of the parent star and detect the light from an orbiting planet directly. This light could again be broken up into its individual wavelengths, determining its molecular content. Whether from absorption (transit) or emission (direct imaging), we could learn what a potential Earth-twin’s atmosphere is composed of. So what if we find an oxygen-rich world? No other planets, dwarf planets, moons, or other objects contain even 1% oxygen that we know of. Earth’s atmosphere transformed over nearly 2 billion years before it had an oxygen content comparable to what it does today, and it was anaerobic life processes that created our modern atmosphere that’s rich in molecular oxygen. Because of how easily oxygen is destroyed by ultraviolet light and how difficult it is to produce in large quantities via inorganic, chemical processes, oxygen has long been taken as the one biosignature we could rely on to indicate a living world. If organic molecules were found there as well, it would seem like a surefire indicator that life, indeed, must have taken hold on such a planet. And that’s where the Hörst lab’s new findings come into play. In a paper just published in ACS Earth and Space Chemistry, a specially-designed chamber to mimic the environment of a hazy exoplanet atmosphere showed that molecular oxygen (O2) could be created in a number of environmental conditions likely to occur naturally, with no life necessary to create it. The ingenious method was to create a gas mixture that would be consistent with what we expect an Earth-like or super-Earth-like environment might hold. That mixture was then inserted into a specially-designed chamber and subjected to a variety of temperature, pressure, and energy-injection conditions that would likely mimic the activity that could occur on actual exoplanets. A total of nine different gas mixtures were used at temperatures ranging from 27 °C (80 °F) up to approximately 370 °C (700 °F), representing the temperature range expected to naturally occur. The energy injection came in two different forms: from ultraviolet light and from plasma discharges, which represent natural conditions likely to be caused by sunlight or lightning-like activity. People used to suggest that oxygen and organics being present together indicates life, but we produced them abiotically in multiple simulations. This suggests that even the co-presence of commonly accepted biosignatures could be a false positive for life. The experiment wasn’t some cherry-picked design to attempt to produce this false-positive result, either. The gases inside the chamber were designed to mimic the contents of known exoplanetary atmospheres, with the ultraviolet energy injection designed to simulate sunlight. The experiments simulated a variety of atmospheric (hydrogen-rich, water-rich, and carbon dioxide-rich) environments, and all of them created haze particles and yielded organic molecules such as hydrogen cyanide, acetylene, and methanimine. Our laboratory results indicate that complex atmospheric photochemistry can happen in diverse exoplanet atmospheres and lead to the formation of new gas products and haze particles, including compounds (O2 and organics) that could be falsely identified as biosignatures. The amount of molecular oxygen produced in these experiments was relatively small by some metrics; Hörst herself wouldn’t call the atmospheres created in the lab “oxygen-rich.” But it’s nevertheless possible that these processes would translate into an oxygen-rich atmosphere on an exoplanet, given the right conditions and enough time. At this point, it appears possible that finding the presence of both organics and molecular oxygen could be due to abiotic, non-life processes exclusively. This doesn’t mean that finding an Earth-like world with an oxygen-rich atmosphere won’t be incredibly interesting; it absolutely will be. It doesn’t mean that finding organic molecules coincident with the oxygen won’t be compelling; it will be a finding worth getting excited over. It doesn’t even mean that it won’t be indicative of life; a world with oxygen and organic molecules may well be overflowing with living organisms. But it does mean that we have to be careful. Historically, when we’ve looked to the skies for evidence of life beyond Earth, we’ve been biased by hope and what we know on Earth. Theories of dinosaurs on Venus or canals on Mars still linger in our memories, and we must be careful that extraterrestial oxygen signatures don’t lead us to falsely optimistic conclusions. We now know that both abiotic processes and life-dependent ones can create an oxygen-rich atmosphere. The hard problem, then, will be disentangling the potential causes when we actually find our first oxygen-rich, Earth-like exoplanet. Our reward, if we’re successful, will be the knowledge of whether or not we’ve actually found life around another star. With a mortar and pestle, Christy Till blends together the makings of a distant planet. In her geology lab at Arizona State University in Tempe, Till carefully measures out powdered minerals, tips them into a metal capsule and bakes them in a high-pressure furnace that can reach close to 35,000 times Earth’s atmospheric pressure and 2,000° Celsius. In this interplanetary test kitchen, Till and colleagues are figuring out what might go into a planet outside of our solar system. Scientists have a few good ideas for how to concoct our own solar system. One method: Mix up a cloud of hydrogen and helium, season generously with oxygen and carbon, and sprinkle lightly with magnesium, iron and silicon. Condense and spin until the cloud forms a star surrounded by a disk. Let rest about 10 million years, until a few large lumps appear. After about 600 million years, shake gently. But that’s only one recipe in the solar systems cookbook. Many of the planets orbiting other stars are wildly different from anything seen close to home. As the number of known exoplanets has climbed — 3,717 confirmed as of April 12 — scientists are creating new recipes. Seven of those exoplanets are in the TRAPPIST-1 system, one of the most exciting families of planets astronomers have discovered to date. At least three TRAPPIST-1 planets might host liquid water on their surface, making them top spots to look for signs of life (SN: 12/23/17, p. 25). Yet those planets shouldn’t exist. Astronomers calculated that the small star’s preplanet disk shouldn’t have contained enough rocky material to make even one Earth-sized orb, says astrophysicist Elisa Quintana of NASA’s Goddard Space Flight Center in Greenbelt, Md. Yet the disk whipped up seven. TRAPPIST-1 is just one of the latest in a long line of rule breakers. Other systems host odd characters not seen in our solar system: super-Earths, mini-Neptunes, hot Jupiters and more. Many exoplanets must have had chaotic beginnings to exist where we find them. These oddballs raise exciting questions about how solar systems form. Scientists want to know how much of a planet’s ultimate fate depends on its parent star, which ingredients are essential for planet building and which are just frosting on the planetary cake. NASA’s Transiting Exoplanet Survey Satellite, or TESS, which launched April 18, should bring in some answers. TESS is expected to find thousands more exoplanets in the next two years. That crowd will help illuminate which planetary processes are the most common — and will help scientists zero in on the best planets to check for signs of life. CAKE POP PLANETS Yes, baking actually makes a nice analogy for planet formation. Take a look. All solar system recipes share some basic elements. The star and its planets form from the same cloud of gas and dust. The densest region of the cloud collapses to form the star, and the remaining material spreads itself into a rotating disk, parts of which will eventually coalesce into planets. That similarity between the star and its progeny tells Till and other scientists what to toss into the planetary stand mixer. “If you know the composition of the star, you can know the composition of the planets,” says astronomer Johanna Teske of the Carnegie Observatories in Pasadena, Calif. A star’s composition is revealed in the wavelengths of light the star emits and absorbs. When a planet is born can affect its final makeup, too. A gas giant like Jupiter first needs a rocky core about 10 times Earth’s mass before it can begin gobbling up gas. That much growth probably happens well before the disk’s gas disappears, around 10 million years after the star forms. Small, rocky planets like Earth probably form later. Finally, location matters. Close to the hot star, most elements are gas, which is no help for building planets from scratch. Where the disk cools toward its outer edge, more elements freeze to solid crystals or condense onto dust grains. The boundary where water freezes is called the snow line. Scientists thought that water-rich planets must either form beyond their star’s snow line, where water is abundant, or must have water delivered to them later (SN: 5/16/15, p. 8). Giant planets are also thought to form beyond the snow line, where there’s more material available. But the material in the disk might not stay where it began, Teske says. “There’s a lot of transport of material, both toward and away from the star,” she says. “Where that material ends up is going to impact whether it goes into planets and what types of planets form.” The amount of mixing and turbulence in the disk could contribute to which page of the cookbook astronomers turn to: Is this system making a rocky terrestrial planet, a relatively small but gaseous Neptune or a massive Jupiter? In the disk around a star, giant planets form beyond the “snow line,” where water freezes and more solids are available. Turbulence closer in knocks things around. Like that roiling disk material, a full-grown planet can also travel far from where it formed. Consider “Hoptunes” (or hot Neptunes), a new class of planets first named in December in Proceedings of the National Academy of Sciences. Hoptunes are between two and six times Earth’s size (as measured by the planet’s radius) and sidled up close to their stars, orbiting in less than 10 days. That close in, there shouldn’t have been enough rocky material in the disk to form such big planets. The star’s heat should mean no solids, just gases. Hoptunes share certain characteristics — and unanswered questions — with hot Jupiters, the first type of exoplanet discovered, in the mid-1990s. Since the first known hot Jupiter, 51 Pegasi b, was confirmed in 1995, two explanations for that proximity have emerged. A Jupiter that formed past the star’s snow line could migrate in smoothly through the disk by trading orbital positions with the disk material itself in a sort of gravitational do-si-do. Or interactions with other planets or a nearby star could knock the planet onto an extremely elliptical or even backward orbit (SN Online: 11/1/13). Over time, the star’s gravity would steal energy from the orbit, shrinking it into a tight, close circle. Dawson thinks both processes probably happen. Hot Jupiters are more common around stars that contain a lot of elements heavier than hydrogen and helium, which astronomers call metals, astronomer Erik Petigura of Caltech and colleagues reported in February in The Astronomical Journal. High-metal stars probably form more planets because their disks have more solids to work with. Once a Jupiter-sized planet forms, a game of gravitational billiards could send it onto an eccentric orbit — and send smaller worlds out into space. That fits the data, too; hot Jupiters tend to lack companion worlds. Hoptunes follow the same pattern: They prefer metal-rich stars and have few sibling planets. But Hoptunes probably arrived at their hot orbits later in the star’s life. Getting close to a young star, a Hoptune would risk having its atmosphere stripped away. “They’re sort of in the danger zone,” Dawson says. Since Hoptunes do, in fact, have atmospheres, they were probably knocked onto an elliptical, and eventually close-in, orbit later. One striking exception to the hot loner rule is WASP-47b, [ApJL] a hot Jupiter with two nearby siblings between the sizes of Earth and Neptune. That planet is one reason Dawson thinks there’s more than one way to cook up a hot Jupiter. Hot Jupiters are so large that astronomers assume these exoplanets have thick atmospheres. But it’s harder to tell if a smaller planet is gassy like Neptune or rocky like Earth. To make a first guess at a planet’s composition, astronomers need to know the planet’s size and mass. Together, those numbers yield the planet’s density, which gives a sense of how much of the planet is solid like rock or diffuse like an atmosphere. HOME SWEET HOMES New images from the Very Large Telescope in Chile reveal that dust disks around young stars can take on many different forms. The shape of a disk can affect – and be affected by – the presence of baby planets. The most popular planet detection strategies each measure one of those factors. The transit method, used by the Kepler space telescope, watches a star wink as the planet passes in front. Comparing the star’s light before and during the transit reveals the planet’s size. The radial velocity method, used with telescopes on the ground, watches the star wobble in response to a planet’s gravity, which reveals the planet’s mass. [Left out of the discussion, Direct Imaging. Direct imaging-This false-color composite image traces the motion of the planet Fomalhaut b, a world captured by direct imaging. Most of the stars observed by Kepler are too far away and too dim for direct, accurate measures of planet masses. But astronomers have inferred a size cutoff for rocky planets. Last June, researchers analyzing the full Kepler dataset noticed a surprising lack of planets between 1.5 and two times Earth’s size and suggested those 1.5 times Earth’s radius or smaller are probably rocky; two to 3.5 times Earth’s radius are probably gassy (SN Online: 6/19/17). Dozens more planets have had their masses inferred indirectly, mostly those in multiplanet systems where astronomers can observe how planets tug on one another. From what astronomers can tell, super-Earths — planets between one and about 10 times Earth’s mass — come in a wide range of compositions. 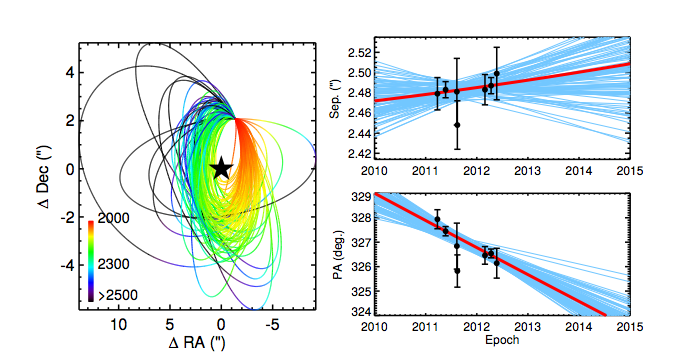 All kinds of planets’ fates do, in fact, depend on the stars, Petigura’s recent work suggests. In a February report in The Astronomical Journal, he and colleagues measured the metal contents of 1,305 planet-hosting stars in Kepler’s field of view. The researchers learned that large planets and close-in planets — with orbital periods of 10 days or less — are more common around metal-rich stars. But the team was surprised to find that small planets and planets that orbit far from their stars show up around stars of all sorts of compositions. “They form efficiently everywhere,” Petigura says. That could mean that metal-rich stars had disks that extended closer to the stars. With enough material close to the star, hot super-Earths could have formed where they currently spin. The existence of hot super-Earths might even suggest that hot Jupiters can form close to the star after all. A super-Earth or mini-Neptune could represent the core of what was once a hot Jupiter that didn’t quite gather enough gas before the disk dissipated, or whose atmosphere was blown off by the star (SN Online: 10/31/17). Some scientists are looking to stars to reveal what’s inside a planet. The help is welcome because density is a crude measure for understanding what a planet is made of. Planets with the same mass and radius can have very different compositions and natures — look at hellish Venus and livable Earth. (SN: 12/23/17, p. 25). But those planets might be so waterlogged that any signs of life would be hard to detect, says exogeologist Cayman Unterborn of Arizona State. So much water would change a planet’s chemistry in a way that makes it hard to tell life from nonlife. Based on the planets’ radii (measured by their transits) and their masses (measured by their gravitational influence on one another), Unterborn and colleagues used density to calculate a bizarre set of interiors for the worlds, which the team reported March 19 in Nature Astronomy. The TRAPPIST-1 planets have low densities for their size, Unterborn says, suggesting that their masses are mostly light material like water ice. TRAPPIST-1b, the innermost planet, seems to be 15 percent water by mass (Earth is less than 0.1 percent water). The fifth planet out, TRAPPIST-1f, may be at least half water by mass. If the planet formed with all that water already in it, it would have had 1,000 Earth oceans’ worth of water. That amount of water would compress into exotic phases of ice not found at normal pressures on Earth. “That is so much water that the chemistry of how that planet crystallized is not something we have ever imagined,” Unterborn says. Measuring a planet’s mass and radius gives astronomers a sense of planetary makeup. This plot compares the TRAPPIST-1 planets (purple) with Earth, Venus, an exoplanet named K2-229b and a couple of other worlds. But there’s a glitch. Unterborn’s analysis was based on the most accurate published masses for the TRAPPIST-1 worlds at the time. But on February 5, the same day his paper was accepted in Nature Astronomy, a group led by astronomer Simon Grimm of the University of Bern in Switzerland posted more precise mass measurements at Astronomy and Astrophysics. Those masses make the soggiest planets look merely damp. Clearly, Unterborn says, density is not destiny. Studying a planet based on its mass and radius has its limits. As a next step, Unterborn and colleagues have published a series of papers suggesting how stellar compositions can tell the likelihood that a group of planets have plate tectonics, or how much oxygen the planet atmospheres may have. Better geologic models may ultimately help reveal if a single planet is habitable. But Unterborn is wary of translating composition from a star to any individual planet — existing geochemical models aren’t good enough. The recent case of K2-229b makes that clear. Astronomer Alexandre Santerne of the Laboratory of Astrophysics of Marseille in France and colleagues recently tried to see if a star’s composition could describe the interior of its newly discovered exoplanet, K2-229b. The team reported online March 26 in Nature Astronomy that the planet has a size similar to Earth’s but a makeup more like Mercury’s: 70 percent metallic core, 30 percent silicate mantle by mass. (The researchers nicknamed the planet Freddy, for Queen front man Freddie Mercury, Santerne wrote on Twitter.) That composition is not what they’d expect from the star alone. Based on its mass and radius, an exoplanet named K2-229b is about Earth’s size but more similar to Mercury in composition, astronomers suggest. Geologic models need to catch up quickly. After TESS finds the best worlds for follow-up observations, the James Webb Space Telescope, due to launch in 2020, will search some of those planets’ atmospheres for signs of life (SN: 4/30/16, p. 32). For that strategy to work, Unterborn says, scientists need a better read on the exoplanet cookbook. Christy Till’s pressure-packed test kitchen may help. Till is primarily a volcanologist who studies how magma erupting onto Earth’s surface can reveal conditions in Earth’s interior. “The goal is to start doing that for exoplanets,” she says. Till uses three piston cylinders to squash and singe synthetic exoplanets for 24 hours to see what minerals form and melt at different pressures and temperatures. The results may help answer questions like what kind of lava would erupt on a planet’s surface, what would the crust be made of and what gases might end up in the planet’s atmosphere. ASU is the largest public university by enrollment in the United States. Founded in 1885 as the Territorial Normal School at Tempe, the school underwent a series of changes in name and curriculum. In 1945 it was placed under control of the Arizona Board of Regents and was renamed Arizona State College. A 1958 statewide ballot measure gave the university its present name. ASU is classified as a research university with very high research activity (RU/VH) by the Carnegie Classification of Institutions of Higher Education, one of 78 U.S. public universities with that designation. Since 2005 ASU has been ranked among the Top 50 research universities, public and private, in the U.S. based on research output, innovation, development, research expenditures, number of awarded patents and awarded research grant proposals. The Center for Measuring University Performance currently ranks ASU 31st among top U.S. public research universities. ASU awards bachelor’s, master’s and doctoral degrees in 16 colleges and schools on five locations: the original Tempe campus, the West campus in northwest Phoenix, the Polytechnic campus in eastern Mesa, the Downtown Phoenix campus and the Colleges at Lake Havasu City. ASU’s “Online campus” offers 41 undergraduate degrees, 37 graduate degrees and 14 graduate or undergraduate certificates, earning ASU a Top 10 rating for Best Online Programs. ASU also offers international academic program partnerships in Mexico, Europe and China. ASU is accredited as a single institution by The Higher Learning Commission. 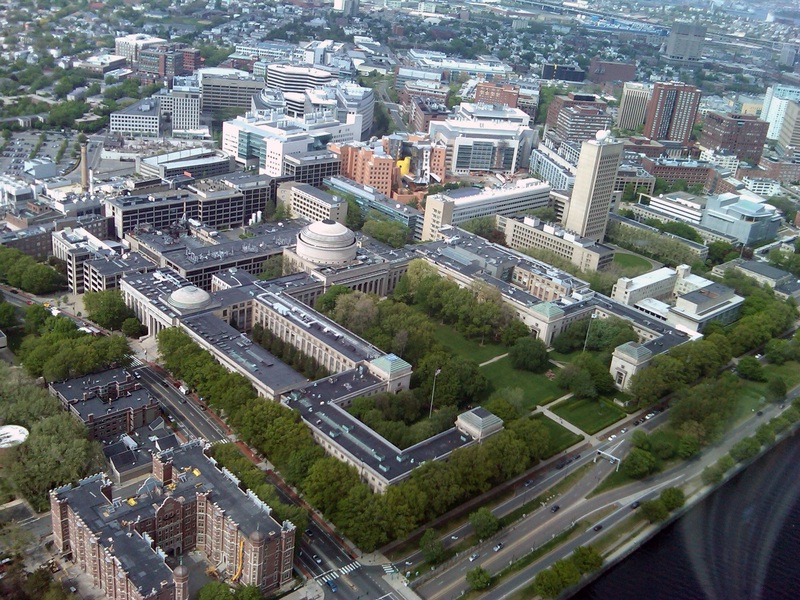 “TESS is trying to take everything that people have already done and do it better and do it across the whole sky,” says Sara Seager, the Class of 1941 Professor at MIT. TESS will survey the sky in a series of 13 observing segments, each 27-days long. It will spend the first year on the southern ecliptic hemisphere and the second year on the northern ecliptic hemisphere. Depending on sky position, TESS targets will be observed for a minimum of 27 days up to a maximum of 351 days. Image: Roland Vanderspek. Professor Sara Seager previews a new era of discovery as a leader of the TESS mission, which is expected to find some 20,000 extrasolar planets. Ever since scientists discovered the first planet outside of our solar system, 51 Pegasi b, the astronomical field of exoplanets has exploded, thanks in large part to the Kepler Space Telescope. Now, with the successful launch of the Transiting Exoplanet Survey Satellite (TESS), Professor Sara Seager sees a revolution not only in the amount of new planetary data to analyze, but also in the potential for new avenues of scientific discovery. For Seager, the goal is to sift through the plethora of incoming TESS data to identify exoplanet candidates. Ultimately, she says she wants to find the best planets to follow up with atmosphere studies for signs that the planet might be suitable for life. 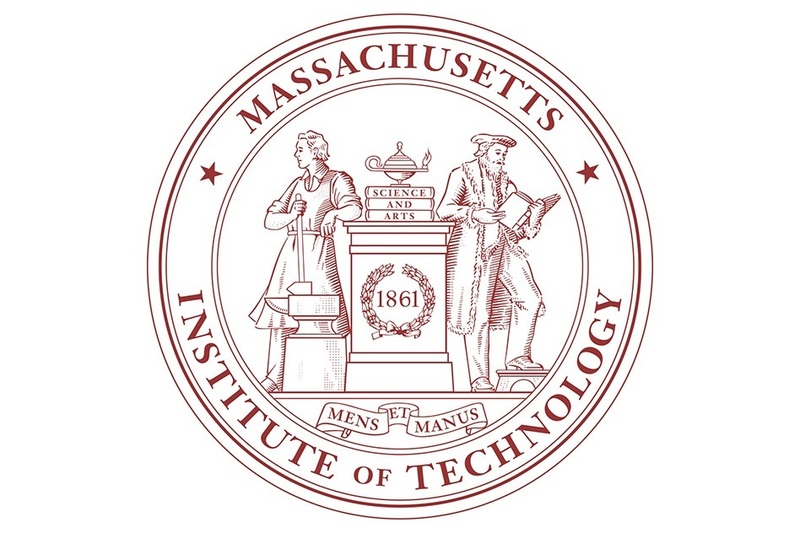 “When I came to MIT 10 years ago, [MIT scientists] were starting to work on TESS, so that was the starting point,” said Seager, the Class of 1941 Professor Chair in MIT’s Department of Earth, Atmospheric and Planetary Sciences with appointments in the departments of Physics and Aeronautics and Astronautics. Seager is the deputy science director of TESS, an MIT-led NASA Explorer-class mission. Her credentials include pioneering exoplanet characterization, particularly of atmospheres, that form the foundation of the field. Seager is currently hunting for exoplanets with signs of life, and TESS is the next step on that path. So far, scientists have confirmed 3,717 exoplanets in 2,773 systems. As an all-sky survey, TESS will build on this, observing 85 percent of the cosmos containing more than 200,000 nearby stars, and researchers expect to identify some 20,000 exoplanets. “TESS is trying to take everything that people have already done and do it better and do it across the whole sky,” Seager says. While this mission relies on exoplanet hunting techniques developed years ago, the returns on this work should extend far into the future. The TESS science leadership team have committed to delivering at least 50 exoplanets with radii less than four times that of Earth’s along with measured masses. As part of the TESS mission, an international effort to further characterize the planet candidates and their host stars down to the list of 50 with measured masses will be ongoing, using the best ground-based telescopes available. For the best exoplanets for follow up, Seager likens photons reaching the satellite’s cameras to money: the more photons you have, the better. Accordingly, the cameras are optimized for nearby, bright stars. Furthermore, the cameras are calibrated to favor small, red M dwarf stars, around which small planets with a rocky surface are more easily detected than around the larger, yellow sun-size stars. Additionally, researchers tuned the satellite to exoplanets with orbits of less than 13 days, so that two transits are used for discovery. To me, they make exoplanet science accessible as perhaps nothing else so far. Additionally, they strike me as moving — and I don’t mean in orbit. Rather, as when you see your own insides via x-rays or MRIs, direct imaging of exoplanets provides a glimpse into the otherwise hidden realities of our world. And in the years ahead – actually, most likely the decades ahead — this kind of direct imaging of our astronomical neighborhood will become increasingly powerful and common. “The Fomalhaut system harbors a large ring of rocky debris that is analogous to our Kuiper belt. Inside this ring, the planet Fomalhaut b is on a trajectory that will send it far beyond the ring in a highly elliptical orbit. Fomalhaut b was first described in 2008 by Paul Kalas, James Graham and colleagues at the University of California, Berkeley. If not the first object identified through direct imaging — a brown dwarf failed star preceded it, as well as other objects that remain planet candidates — Fomalhaut was among the very first. The data came via the Advanced Camera for Surveys [ACS] on the Hubble Space Telescope. But Fomalhaut b is an unusual planet by any standard, and that resulted in a lot of early debate about whether it really was a planet. Early efforts to confirm the presence of the planet failed, in part because the efforts were made in the infrared portion of the spectrum. Instead, Fomalhaut b had been detected only in the optical portion of the spectrum, which is uncommon for a directly imaged planet. More specifically, it reflects bluish light, which again is unusual for a planet. Some contended that the planet detection made by Hubble was actually a noise artifact. A pretty serious debate ensued in 2011 but by 2013 the original Hubble data had been confirmed by two teams and its identity as a planet was broadly embraced, although the noise of the earlier debate to some extent remains. As Kalas told me, this is probably because “no one likes to cover the end of a debate.” Nonetheless, he said, it is over. Kalas believes that a ring system around the planet could be reflecting the light. Another possibility, he said, is that two dwarf planets collided and a compact dust cloud surrounding a dwarf planet is moving through the Fomalhaut system. That scenario would be very difficult to test, he said, but the alternate possibility of a Saturnian exoplanet with a ring is something that the James Webb Space Telescope will be able to explore. In any case, the issue of whether or not the possibly first directly-imaged planet is in fact a planet has been resolved for now. When the International Astronomical Union held a global contest to name some of the better known exoplanets several years ago, one selected for naming was Fomalhaut b, which also now has the name “Dagon.” The star Fomalhaut is the brightest in the constellation Pisces Australis — the Southern Fish — and Dagon was a fish god of the ancient Philistines. While instruments on the W.M. Keck Observatory in Hawaii, the European Very Large Telescope in Chile and the Hubble Space Telescope have succeeded in directly imaging some planets, the attention has been most focused on the two relatively newcomers. 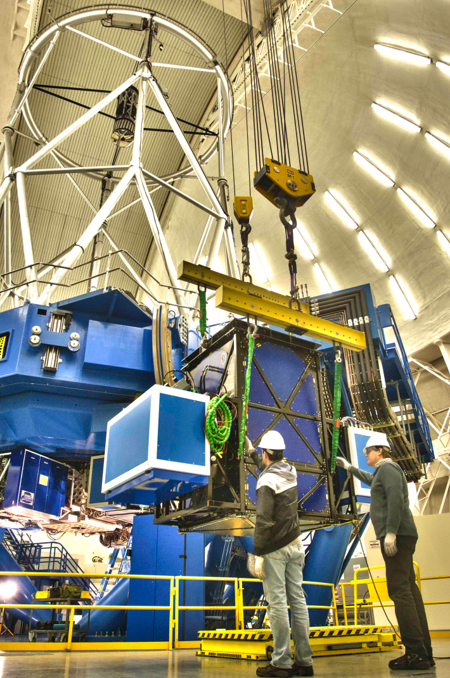 They are the Gemini Planet Imager (GPI), now on the Gemini South Telescope in Chile [above] and funded largely by American organizations and universities, and the largely European Spectro-Polarimetric High-contrast Exoplanet REsearch (SPHERE) instrument, also in Chile. In real time, the two instruments correct for distorting atmospheric turbulences around Earth and also block the intense light of the host stars. Any residual incoming light is then scrutinized, and the brightest spots suggest a possible planet and can be photographed as such. The ultimate goal is have similar instruments improved until they are powerful enough to read the atmospheres of the planets through spectroscopy, which has been done so far only to a limited extent. Kalas, Graham and Jason Wang (a graduate student at Berkeley who put together the direct imaging movies ) are part of the GPI team, which since 2014 has been searching for Jupiter-sized and above planets orbiting some distance from their suns. The group is a member of NASA’s NExSS initiative to encourage exoplanet scientists from many disciplines to work together. While GPI has had successes detecting important exoplanets such as 51 Eridani b, it also studies already identified planets to increase understanding of their orbits and their characteristics. GPI has been especially active in studying the planet Beta Pictoris b, a super Jupiter discovered using data collected by the European Southern Observatory Very Large Telescope. While the data was first collected in 2003, it took five years to tease out the planet orbiting the young star and it took several more years to confirm the discovery and begin characterizing the planet. GPI has followed Beta Pictoris b for several years now, compiling orbital and other data used for video above. The planet is currently behind its sun and so cannot be observed. But James Graham told me that the planet is expected to emerge late this year or early next year. It remains unclear, Graham said, whether GPI will be able to capture that emergence because it will soon be moved from the Gemini telescope in Chile to the Gemini North Telescope on Hawaii. But he certainly hopes that it will be allowed to operate until the planet reappears. The planet 51 Eridani b was the first exoplanet discovered by the GPI and remains one of its most important. The planet is a million times fainter than its parent star and shows the strongest methane signature ever detected on an alien planet, which should yield additional clues as to how the planet formed. The four-year GPI campaign from Chile has not discovered as many Jupiter-and-greater sized planets as earlier expected. Graham said that may well be because there are fewer of them than astronomers predicted, or it may be because direct imaging is difficult to do. But Graham said the campaign is actually nowhere near over. Much of the data collected since 2014 remains to be studied and teased apart, and other Jupiters and super Jupiters likely are hidden in the data. Designed to be the first space telescope to carry a coronagraph and consequently a major step forward for direct imaging, it was scheduled to be NASA’s big new observatory of the 2020s. But the Trump Administration cancelled the mission earlier this year, Congress then restored it but with the caveat that NASA had to provide a detailed plan for its science, its technology and its cost. That plan remains an eagerly-awaited work in progress. Meanwhile, here is another example of what direct imaging, with the help of soon-to-be Caltech postdoc Jason Wang, can provide. The video of the HR 8799 system went viral when first made public in early last year. The promise of direct imaging is enormous. The collected photons can be used for spectroscopy that can potentially tell scientists about a planet’s radius, mass, age, effective temperature, clouds, molecular composition, rotation rate and atmospheric dynamics. For a small, potentially habitable planet, direct imaging can measure surface temperate and pressure and determine whether it can support liquid water. It can also potentially determine if the atmosphere is in the kind of disequilibrium regarding oxygen, ozone and perhaps methane that signal the presence of life. But almost all this is in the future since none of the current instruments are powerful enough to collect that data. University of California at Berkeley astronomy grad student Lea Hirsch at [the very important to me] Lick Observatory [at UCSC, on Mt Hamilton This was the location running the UCO system under the great Sandra Faber, who was a major contributor to the salvation of Hubble with COSTAR]. She will be going soon to Stanford University for a postdoc with Gemini Planet Imager Principal Investigator Bruce Macintosh. 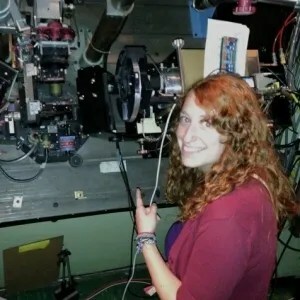 In the meantime, researchers such as Berkeley graduate student Lea Hirsch, soon to be a Stanford postdoc, are focused on using the strengths of the different detection methods to come up with constraints on exoplanetary characteristics (such as mass and radius) that one technique alone could not provide. For instance, the transit technique works best for identifying planets close to their stars, direct imaging is the opposite and radial velocity is best that detecting large and relatively close-in planets. Radial velocity gives a minimum (but not maximum) mass, while transits provide an exoplanet radius. What Hirsch would like to do is determine constraints (limits) on the size of exoplanets using both radial velocity measurements and direct imaging. As she explained, radial velocity will give that minimum mass, but nothing more in terms of size. But in an indirect way for now, direct imaging can provide some maximum mass. If, for instance, astronomers know through the radial velocity method that exoplanet X orbits a certain star and is twice the size of Jupiter, they can then look for it using direct imaging with confidence that something is there. Let’s say the precision of the imaging is such that if a planet six times the size of Jupiter was present they would — over a period of time — detect it. A detection would indeed be great and the planet’s mass (and more) would then be known. But if no planet is detected — as often happens — then astronomers still collect important information. They know that the planet they are looking for is less than six Jupiter masses. Since the radial velocity method already determined it was at least larger than two Jupiters, scientists would then know that the planet has a mass of between two and six Jupiters. Tags: Astrobites ( 298 ), Astronomy ( 7,556 ), Astrophysics ( 4,691 ), Basic Research ( 10,450 ), Cosmology ( 4,882 ), Direct imaging, Exoplanets ( 101 ), Great News for Impatient Scientists! Authors: Sarah Blunt, Eric L. Nielsen, Robert J. De Rosa, et al. Discoveries of exoplanets happen quite often these days, so much so that the discovery alone is not enough to satisfy collective scientific curiosity. Discovery with direct imaging, in particular, does not usually reveal much about the planet, other than its existence. However, unlike the transit method and radial velocity measurements, direct imaging allows us to observe exoplanets with very long periods, which is an under-sampled population in the list of currently known exoplanets. Still, this double-edged method of measurement cannot give us full orbital parameters of the planetary system. This population of exoplanets cannot be easily observed by any other method but direct imaging, so the question arises—how can we find the orbital properties of this planetary system with the measurements we have? The authors of this paper use a new rejection sampling method to quickly find the orbits of these exoplanets, called Orbits for the Impatient (OFTI) . This method generates random orbital fits from astrometric measurements, then scales and rotates the orbits, and then reject orbits too unlikely. A visualization of this process is shown in Figure 1. Figure 1: This shows a visualization of the OFTI method sampling, scaling and rotating a randomly selected orbit of the fitted exoplanet. In the lowest image, the red lines are the accepted orbits while the gray lines show the rejected orbits. This method uses astrometric observations and their uncertainties with prior probability density functions to produce posterior probability density functions of generated orbits. The main process of a rejection sampling method goes like this: the code generates random sets of orbital parameters, calculates a probability for each value, then rejects values with lower probabilities. The rejection process in OFTI is determined by comparing the generated probability to a selected number in (0,1). If the generated probability is greater than the random variable, then the orbit is accepted. This process repeats until any desired numbers of orbits have been selected. Usually, algorithms such as Metropolis-Hastings MCMC are used for orbital fitting problems. However, this method takes far less time than an MCMC approach. The OFTI trials are independent, so the fitting and rejection-sampling can be done several times without incurring a bias in fitting. Running OFTI for several successive trials gives an unbiased estimate of the orbit up to 100 times faster than traditional Metropolis-Hasting MCMC fitting. You may wonder how this method manages to run quickly without compromising the accuracy of its results. The answer to this musing is, of course, clever computational and statistical techniques tricks. OFTI uses vectorized arrays rather then iterative loops when possible and is specifically designed to run multiple trials in parallel. Since there is an associated error with the astrometric measurements that OFTI uses to generate orbits, it first calculates the minimum χ 2 value of all orbits tested during an initial run. Then it subtracts the minimum χ 2 value from all other generated χ 2. This way, orbits with an artificially high χ 2 are not unfairly flat-out rejected. OFTI also confines the inclination and mass based on prior measurements, then uses the maximum, minimum an standard deviation of the array to change the range of values for these parameters, which prevents the generation of obviously unlikely orbits. Figure 2: This shows the orbit sampling of the planet GJ 504 b around star GJ 504 A. The 100 most probable orbits are colored accordingly. The right section of the image shows the measurements made of the object in black, and the red line shows the minimum orbit. In this paper, the authors use this fitting method to find orbital parameters for 10 directly imaged exoplanets and other objects, including brown-dwarfs and low-mass stars. The objects have at least two measured epochs of astrometry each; however in these cases, the orbit has not yet been measured because the measurements only cover a short range of the objects’s orbit, but using OFTI they successfully solved for the orbit of all of the aforementioned sub-stellar objects. The fitting for one of these objects,GJ 504 b, the current coldest imaged exoplanet, is shown in Figure 2. The most obvious application of this new process is long-period exoplanets, but the authors also solve for the orbits of a variety of other systems, including trinary stars and brown dwarf systems. OFTI is also very useful in planning follow-up observations of targets. This method is incredibly useful to not only planetary scientists but also to all kinds of stellar specialists. Impatient scientists can now use this method to achieve quick and accurate results, which are, quite frankly, the best kind of results.